We’ll let him tell of the rest of his journey! In 1981, Fred Rogers had a simple, yet profound message for Jeff Erlanger, a boy who was permanently disabled during a complex surgery. The sincere positivity of both Jeff and Mister Rogers shone through. Just recently, the online magazine and blog, Petzoid, reminded us how Fred Rogers has touched the lives of so many children, who as adults never forget the kindness of this of a very special man. Sesame Street, introduced in 1969, is seen in more than 150 countries around the world. 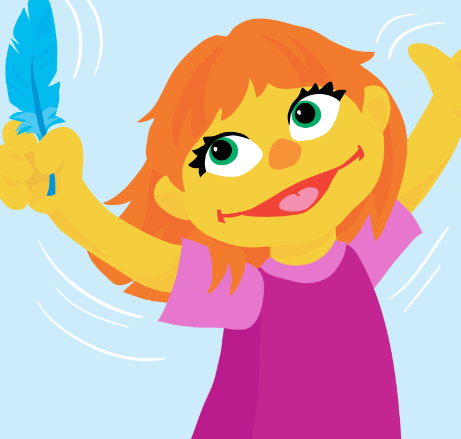 Always a champion of inclusion, the highly respected show on October 21, 2015, launched “Sesame Street and Autism.” This initiative has opened to considerable acclaim. Frank Campagna, the writer of the respected blog “Autism Daddy” is one of the video producers at Children’s Television Workshop. In his blog, he discusses how, after the birth of his severely autistic son, he sought ways in which to spread autism awareness through the award-winning children’ show. Public awareness on what one should say to a parent of an autistic child.